(CNSNews.com) - The number of American babies who have been aborted in the years since the Supreme Court's 1973 Roe v. Wade decision has already exceeded the entire population of the United States as recorded in the 1880 Census. The Guttmacher Institute has estimated the number of abortions in the United States in each year from 1973 through 2011. They add up to 51,376,750—or 1,187,541 more than the entire population of the nation as of 1880. 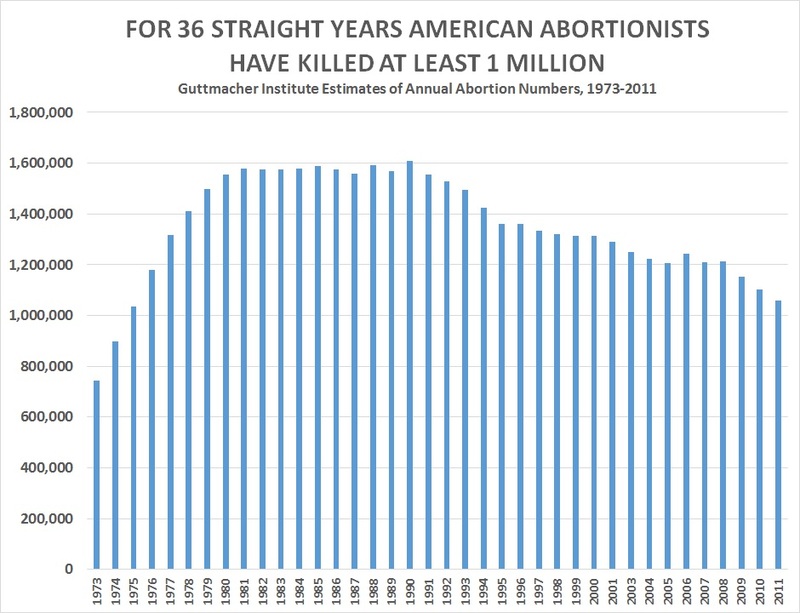 In each of the last 36 straight years for which Guttmacher has published an estimate of the number of abortions, the number has exceeded 1 million. The Guttmacher Institute says there were 1,720 “abortion providers” in the United States in 2011. Collectively, they did 1,058,490 abortions that year. 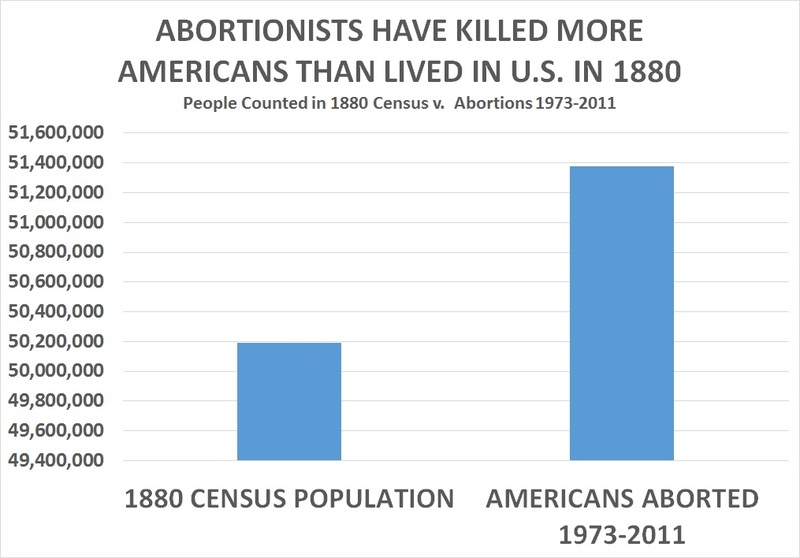 To achieve that number, each abortionist—on average—would have needed to abort 615 babies during the year. That is about 12 per week—or 2.4 per work day if they only killed babies five days a week and did not take any vacations.